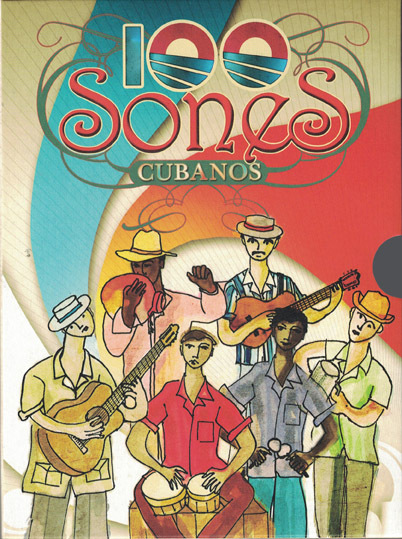 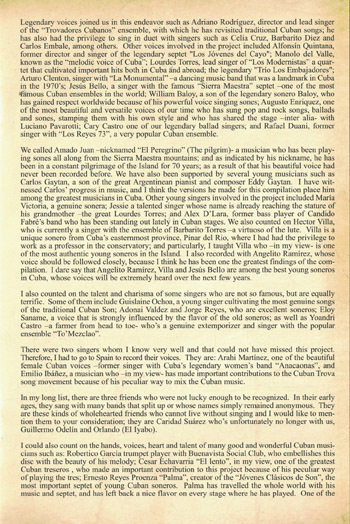 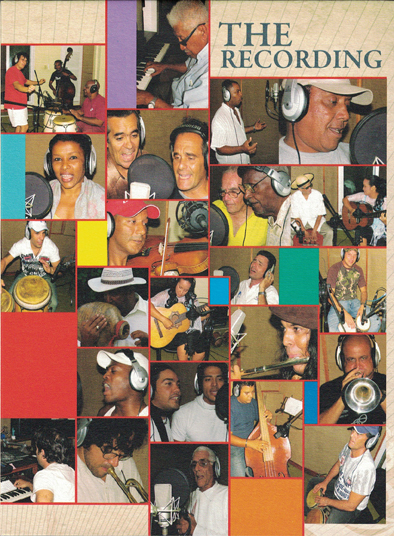 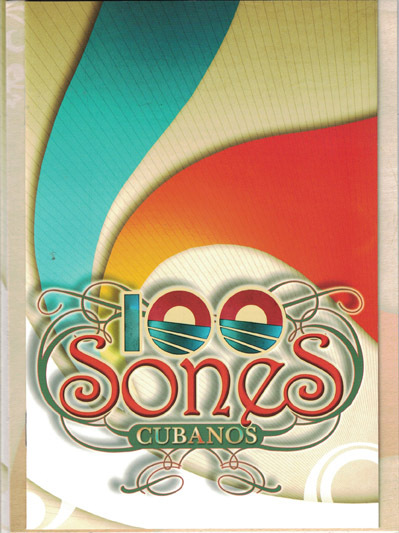 100 Sones Cubanos, a beautifully produced gift box with 100 Sones in 5 CD’s and a “behind the scenes” DVD capturing how this musical masterpiece was created. 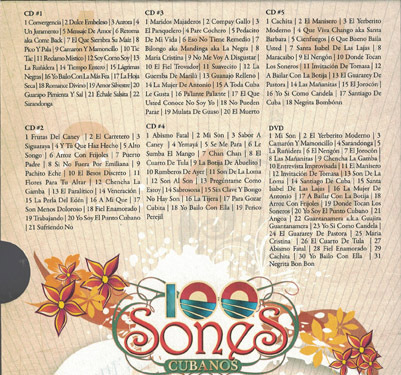 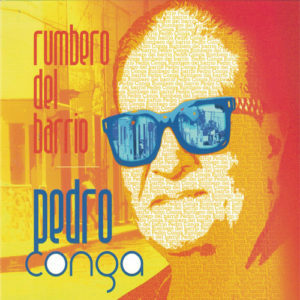 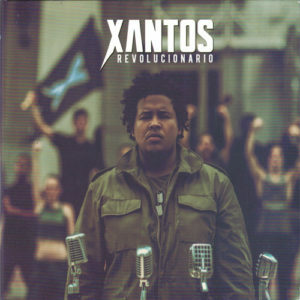 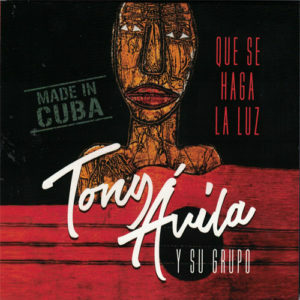 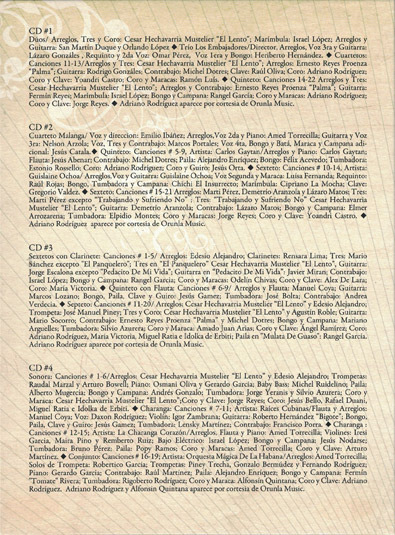 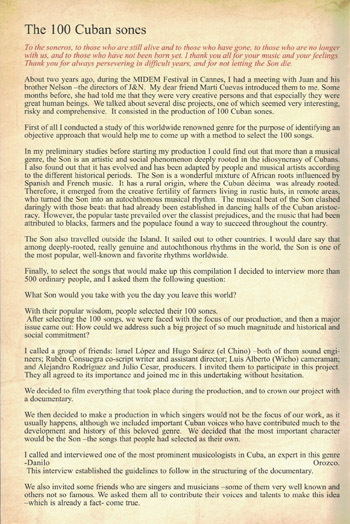 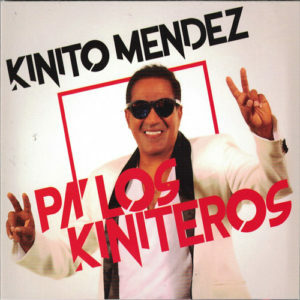 100 Sones Cubanos, composed of 5 CD’s and a “behind the scenes” DVD. 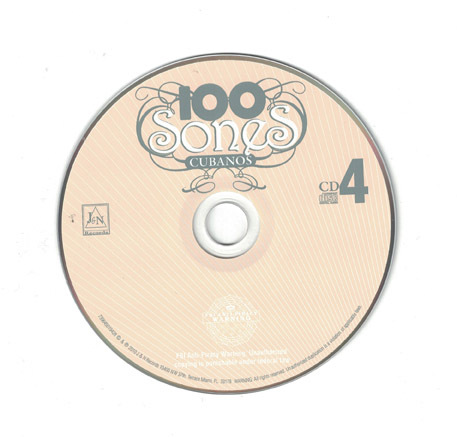 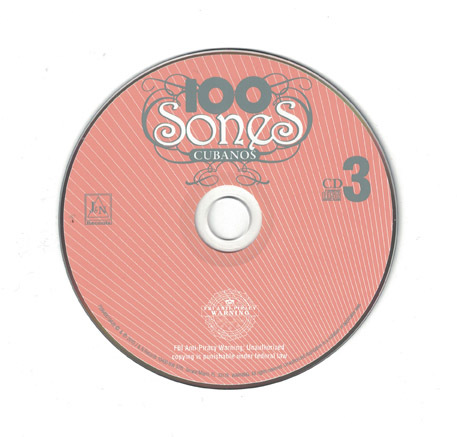 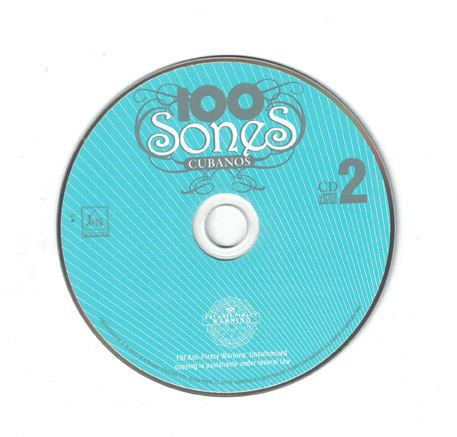 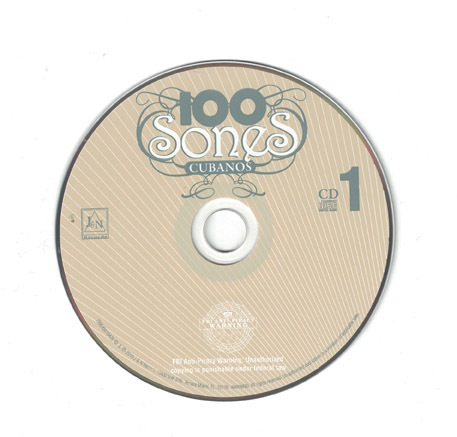 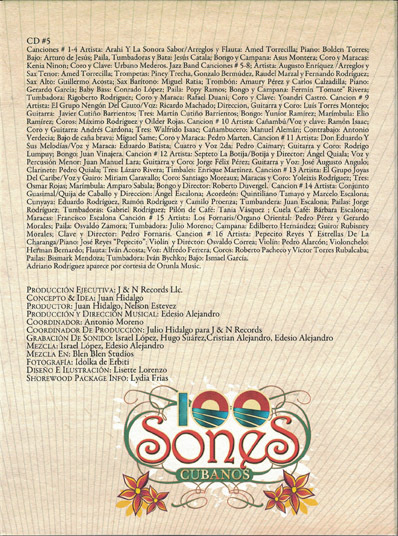 The 100 Cuban Sones is a 5 set CD containing the 100 Sones and in addition, a DVD which takes you behind the scenes on the journey to making this fabulous musical masterpiece.